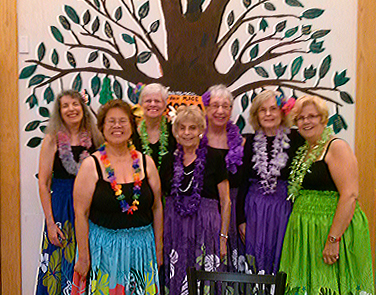 In July, the CT Hapa Hilo Hula Dancers visited Fellowship Place to teach basic hula moves and talk about the different customs associated with hula dancing such as proper hula clothing. Part of Fellowship Place’s wellness programming, the demonstration and instruction was a fun way for our clients to exercise and “get moving”. Thank you, Hapa Hilo Hula Dancers!